Unscrew and remove the existing nut and lock washer from the shank under the hitch ball. Once the old lock washer and nut are removed, replace with the new lock washer (A) provided with the RJ Lock. DO NOT use more than 1 lock washer. Always use the standard size lock washer such as the new one provided otherwise your RJ Lock will not function properly. 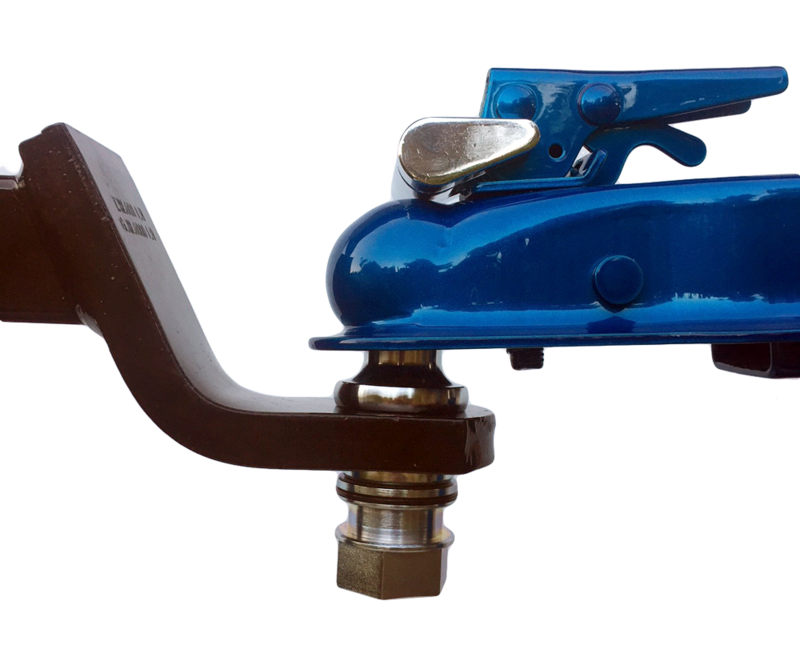 Install the RJ Lock fitting (B) by screwing onto the ball shank and torque to 250 ft-lbs. The lock washer (A) should be COMPLETELY FLAT after tightening. (see Figure 1 below). 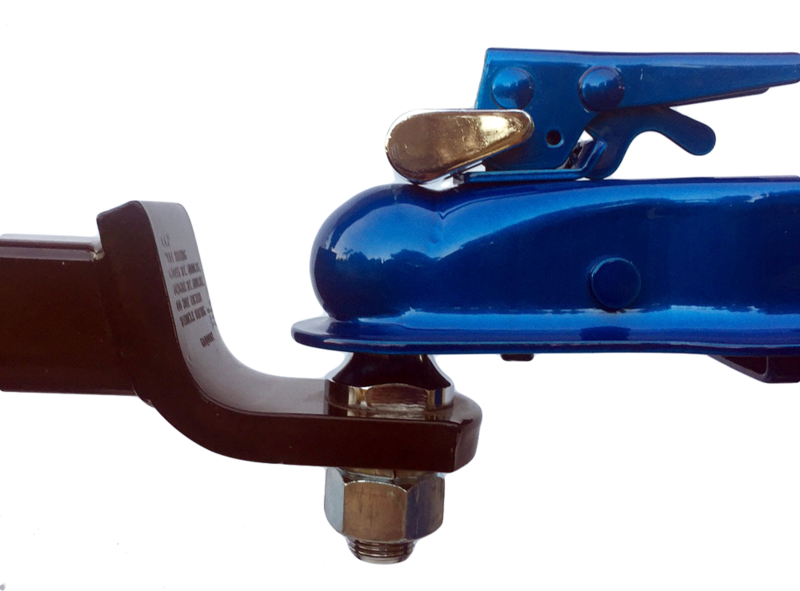 Your RJ Lock will not function with improper tightening and the hitch ball will loosen or fail. IMPORTANT: Once the RJ Lock Fitting (B) is properly tightened, the ball shank should be long enough so that NO THREADS are showing on the bottom inside wall of the RJ Lock Fitting (B). If threads are showing, the ball shank is not long enough and a longer ball shank will be required. A shank that is not long enough can cause the ball to loosen or fail. To check for proper shank length after installation of the lock washer (A) and fitting (B), remove the assembled ball mount from the receiver. 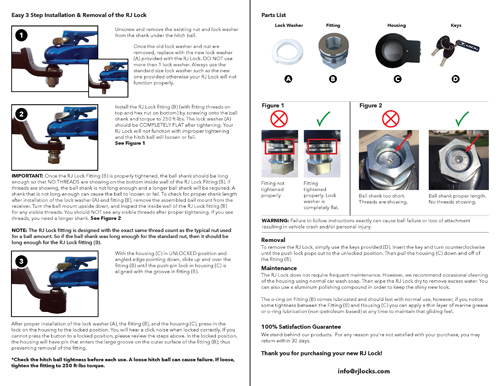 Turn the ball mount upside down, and inspect the inside wall of the RJ Lock fitting (B) for any visible threads. You should NOT see any visible threads after proper tightening. If you see threads, you need a longer shank. NOTE: The RJ Lock fitting is designed with the exact same thread count as the typical nut used for a ball amount. So if the ball shank was long enough for the standard nut, then it should be long enough for the RJ Lock fitting (B). With the housing (C) in UNLOCKED position and angled edge pointing down, slide up and over the fitting (B) until the push-pin lock in housing (C) is aligned with the groove in fitting (B). After proper installation of the lock washer (A), the fitting (B), and the housing (C), press-in the lock on the housing to the locked position. You will hear a click noise when locked correctly. If you cannot press the button to a locked position, please review the steps above. In the locked position, the housing will have pin that enters the large groove on the outer surface of the fitting (B); thus preventing removal of the fitting. Check the hitch ball tightness before each use. A loose hitch ball can cause failure. If loose, tighten the fitting to 250 ft-lbs torque. RJ Lock Removal: To remove the RJ Lock, simply use the keys provided (D). Insert the key and turn counterclockwise until the push lock pops out to the unlocked position. Then pull the housing (C) down and off of the fitting (B). How to maintain the RJ Lock: The RJ Lock does not require frequent maintenance. However, we recommend occasional cleaning of the housing using normal car wash soap. Then wipe the RJ Lock dry to remove excess water. You can also use a aluminum polishing compound in order to keep the shiny new look. 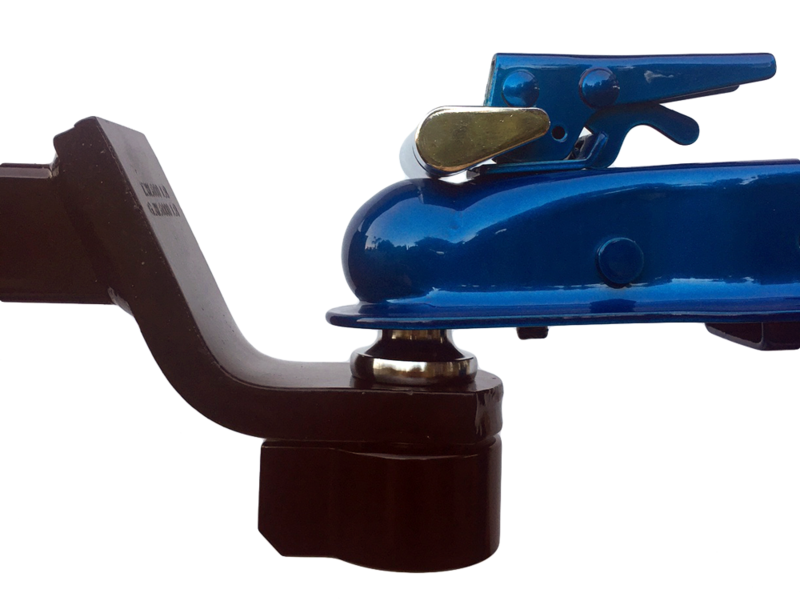 The o-ring on Fitting (B) comes lubricated and should last with normal use, however, if you notice some tightness between the Fitting (B) and Housing (C) you can apply a thin layer of marine grease or o-ring lubrication (non-petroleum based) at any time to maintain that gliding feel. 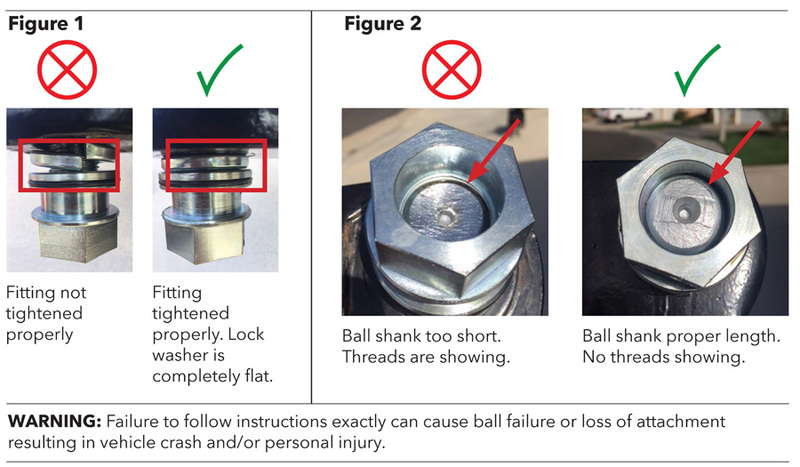 WARNING: Failure to follow instructions exactly can cause ball failure or loss of attachment resulting in vehicle crash and/or personal injury. We stand behind our products. For any reason you're not satisfied with your purchase, you may return within 30 days. Thank you for purchasing your new RJ Lock!